Many things might have changed with SEO, but one aspect that remains unchanged is the importance of keywords and keyword research. No matter how much seasoned and experienced you might be in handling SEO, you have to keep on performing keyword research continuously. Why is keyword research that appears to be some mundane and primary activity in SEO remains so essential? Just because it is the way that marketers can keep their ears to the ground. It is the only way to feel the pulse of the audience to stay in touch with them firmly. No sensible marketer can therefore even think about stopping keyword research. Keyword research gains more importance in a broader context that goes beyond SEO because it is fundamental to anything that you do on the internet. For any online marketing, seeking information from search engines or blogging, you have to depend on keywords that tell you which way the audience is moving. Considering that more than half of the world population uses the internet, you can gain massive outreach by intelligently using keywords across the right platforms. The secret of reaching out to the audience is to know how to make your content available to them. It will be wrong to think that keywords are essential for SEO alone. It is equally vital for anything that you do online whether it is content marketing, mobile and social media marketing, big data, and conversion rate optimization. Therefore, keyword research applies to all branches of digital marketing. You have to depend on keywords to know from where the organic traffic is coming. It also determines what makes your company known to all. Keywords guide you in creating the kind of content that the audience prefers. Keyword drives every decision you make about online marketing, and for creating the blueprint for your digital marketing efforts, you have to fall back upon keyword research. You have to know which relevant keyword lead to your website as it can drive traffic, sales, and even ROI. It is essential to learn how you can maximize your keyword research that culminates in driving traffic and generating qualified leads. 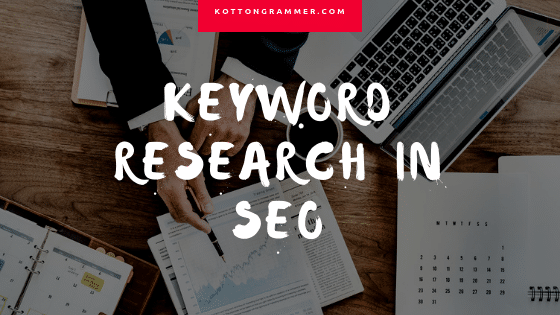 According to the experts at Kotton Grammer Media SEO Company, the real power of keywords lies in its ability to generate qualified leads, and they have to choose keywords accordingly. Now, the question arises, how would know whether a keyword is compelling or not? To ascertain the power of keyword, you have to look at the context related to it. Extending it further, you have to understand what exactly the searcher means or wants to know by using the keyword. If the keyword is too generic, it leaves options wide open for search engines to interpret and return results that are non-specific and too much generalized. This would certainly drive some traffic but would fail to generate qualified leads, thereby weakening the business prospects. 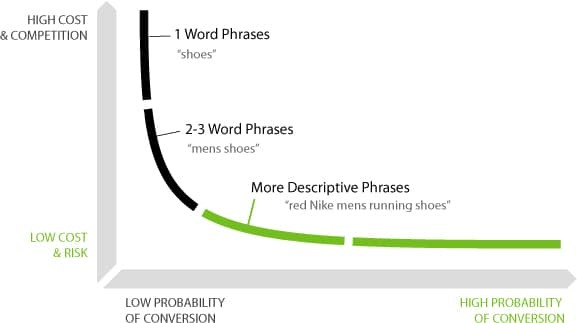 To ensure conversions, you have to look deeper into keywords to discover the context that is capable of driving traffic that has the potential of generating qualified leads. Google has refined its search algorithm to understand keywords in its proper context that helps to discover user intent. Search engines can look beyond the face value of search terms to find out what kind of answers would genuinely satisfy users. To make it easier for search engines to understand user intent, you have to use long tail keywords framed like sentences or descriptive phrases that have enough powers to drive traffic but face lesser competition than any focused keyword. Therefore, by using long tail keywords backed by an active blog you will gain more traction in marketing than you had ever expected. So, now you can understand why content marketing is so much in focus today. 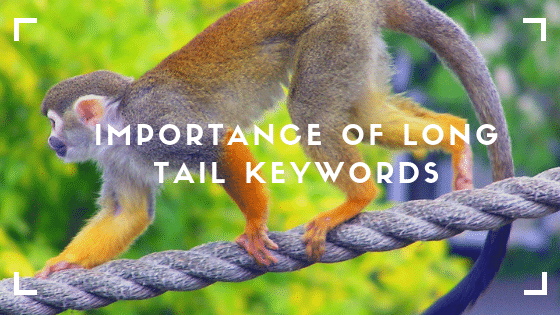 By inserting long tail keywords in titles instead of placing it in the content itself, you can boost the ranking. Having understood the various dimensions of keywords and its abilities, it is now time to understand what would be the right approach to keyword research. Before you set your sight on goals for improving keywords, you should know where you currently belong. By using some SEO tools like SEMrush, you can find out the keywords you are ranking for and know who your competitors are. By using Google Analytics, you can ascertain which keywords you rank for. Once you know the keywords you rank for, you can look for related keywords by using Google Adwords Planner and SEMrush. To determine which keywords your competitors are targeting you have to view their source codes. You can see the source code by pressing Ctrl+U on your browser (Firefox, Chrome, Edge, or Opera). This would reveal the source codes of long tail keywords, and you can see the description, title, and lots of Metadata as well as image titles. There are plenty of tools within Google to assist in your keyword research, and you must know how to make use of it. The autocomplete tool built-in Google search engine provides an excellent opportunity to learn about the most popular searches for any given term. You can also see if there is any related schema and discover gaps to plug with your schema. It is possible to know who your competitors are. You would find related search terms even at the bottom of the search result page. For multiplying keywords by identifying more variations closely related to one another, make use of the online thesaurus. Replace any chosen keyword with its synonym, and you would see that the choice of related keywords multiplies several times just in a click. Check that the search term refers to the same basic idea by entering it into Google search bar. The continuity of keyword research is not only beneficial for improving online marketing campaigns, but marketers too get the opportunity of learning something new every time they perform it.